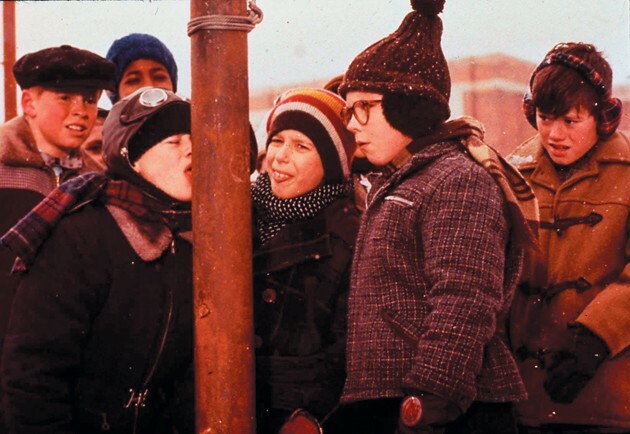 The iconic tongue-stuck-on-an-icy-flagpole scene is only one of many reasons staff writer Lisa Christensen says “A Christmas Story” is her favorite holiday movie. 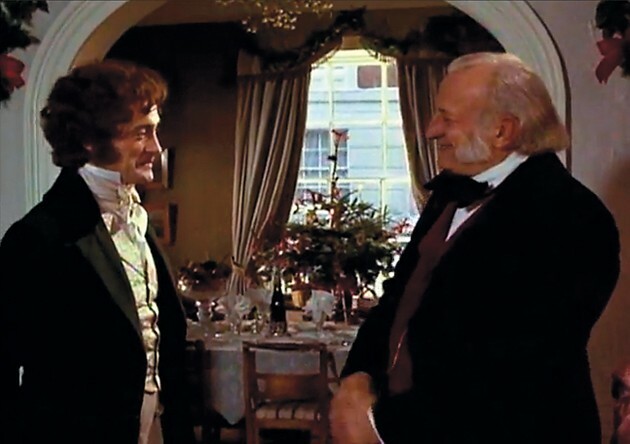 David Warner and George C. Scott star as Bob Cratchit and Ebeneezer Scrooge, respectively, in 1984’s “A Christmas Carol.” Sports Editor Mark Watson said this is his favorite holiday movie because it shows the transformative power of Christmas. 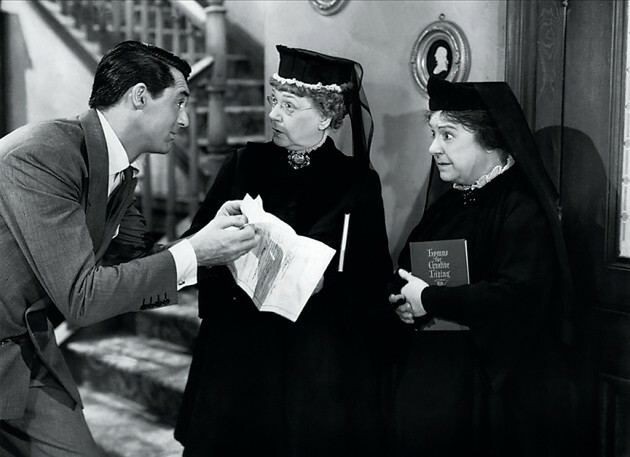 Cary Grant stars in the 1946 classic “Arsenic and Old Lace,” which staff writer Emma Penrod’s family watches as a holiday tradition. This time of year virtually every theater, not to mention every television channel, is choked with holiday-themed movies and specials. Some are instant hits, like “Home Alone.” Others, like virtually any made-for-TV movie from the likes of Lifetime, Hallmark or ABC Family, are quickly forgotten. Still others make it in the halls of infamy (Cough, “Star Wars Christmas Special,” cough). No matter how many shows there are, though, it seems just about everyone has a favorite—a special that they just wouldn’t feel the holiday spirit without. Community news editor and sports writer Richard Briggs said his favorite seasonal movie is 2003’s “Elf,” starring Will Ferrell as a human adopted and raised by elves who goes looking for his birth father. “It’s so funny and it has so much Christmas stuff in it. The whole movie is Christmas and it talks about the spirit of Christmas. 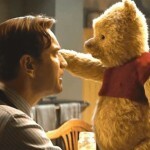 And Will Ferrell’s just hilarious,” he said. Tim Gillie said he likes his favorite Christmas show, 1946’s “It’s a Wonderful Life,” so much, he’s willing to violate one of his few self-imposed rules for it. Sports Editor Mark Watson said his favorite holiday movie is 1984’s “A Christmas Carol,” starring George C. Scott. The change Ebeneezer Scrooge undergoes throughout the story represents the profound effect Christmas can have on people. “It’s a feel-good movie. 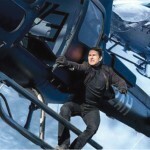 The guy goes from bad to good, from avarice to humanitarian—a greedy guy to a more giving guy,” he said. My personal “it” movie, the movie without which it could not be Christmas, is “A Christmas Story,” from 1983. I know it’s one of those love-it-or-hate-its, but I am squarely in favor of it. For starters, a lot of the people and events depicted in it are dead ringers for some in my own life, so it can feel pretty personal. But more than that, I just really connected with the different levels shown of the same story. I loved it and could relate to it as a child, but as an adult, I appreciate more the inaccuracies and exaggerations purposefully included—Ralphie’s parents’ ages or the number of Christmas presents under the tree or meeting Santa—that bring the viewer back to a time in life when Christmas was more magical and less stressful. It kicks me out of my own default Scrooge mode and reminds that Christmas can be fun. Those are some of my all time favorites as well.